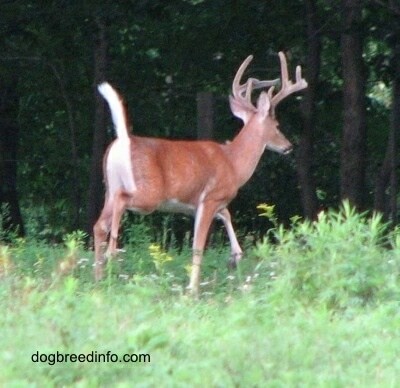 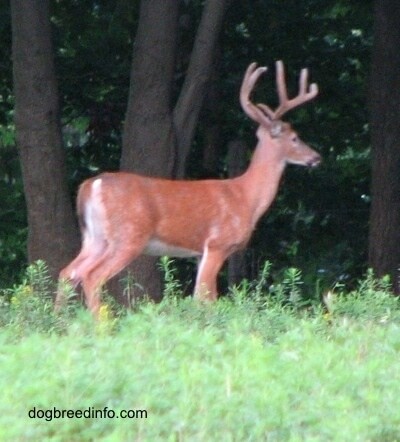 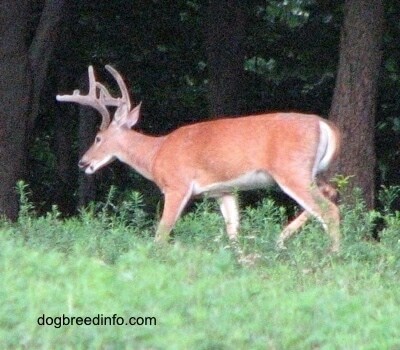 White-tailed buck deer spotted in southeastern Pennsylvania, USA. 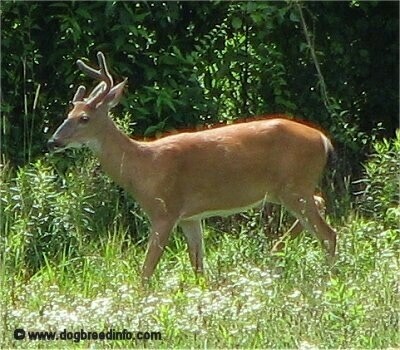 White-tailed deer at the pond on the Maguire Farm. 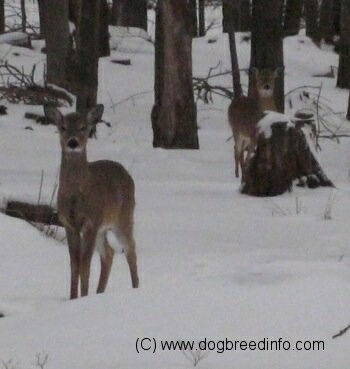 A couple of white-tailed buck deer spotted in southeastern Pennsylvania, USA. 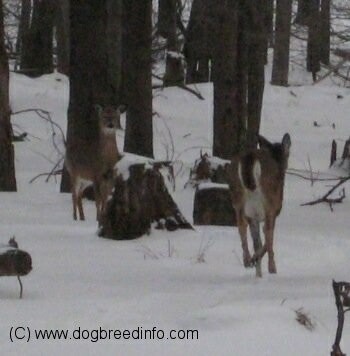 A couple of white-tailed buck deer spotted in southeastern Pennsylvania, USA. 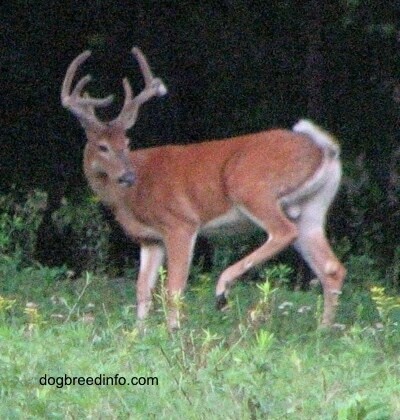 Notice how the buck on the left has part of his antler broken off—this most likely happened while in a fight with another buck. 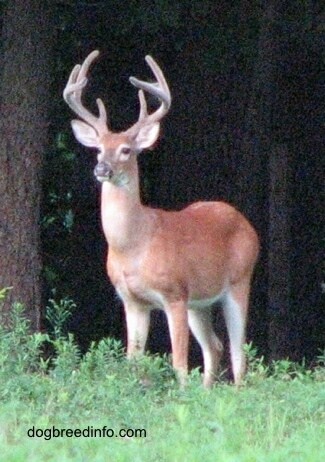 Each year, buck deer shed their antlers. 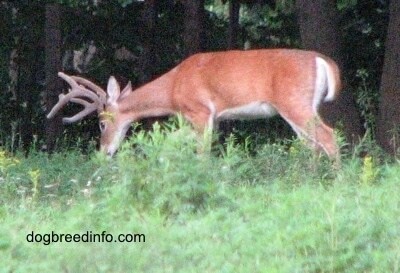 Most shed them in March-April and by August-September they are fully grown. 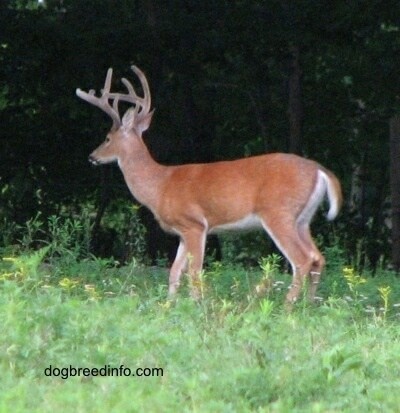 Antler shedding usually occurs earlier in the northern states than southern states. 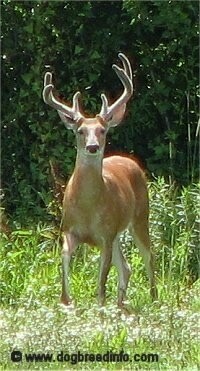 In Pennsylvania, deer usually shed their antlers in February. 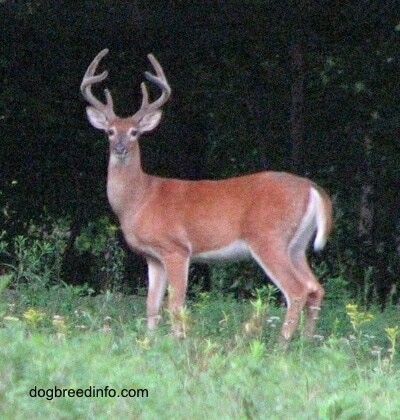 A male deer is called a buck, while a female deer is called a doe. 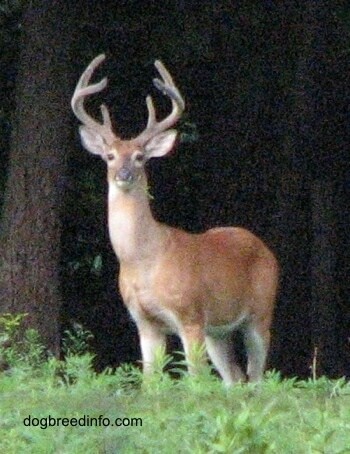 Does do not grow antlers. 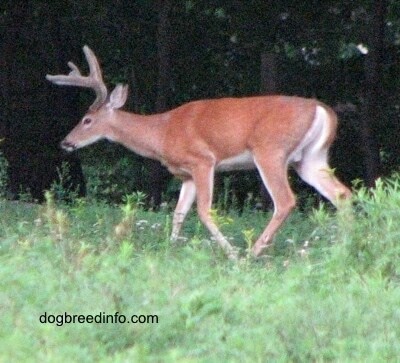 A couple of white–tailed buck deer spotted in southeastern Pennsylvania, USA. 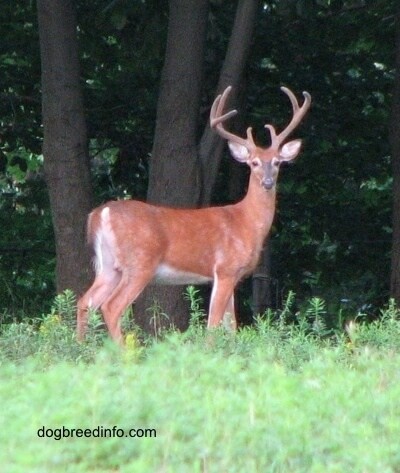 A white-tailed buck deer spotted in southeastern Pennsylvania, USA. 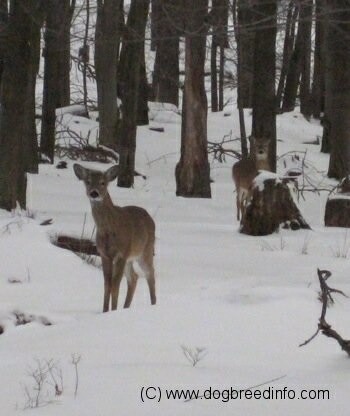 A couple of white-tailed buck deer spotted in southeastern Pennsylvania, USA, in the winter snow. 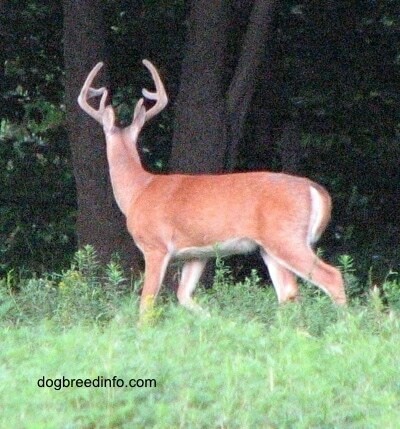 Seven-point buck spotted in Pennsylvania.